Dr. Ken Leight, a clinical health psychologist, utilizes strategies for enhancing emotional as well as spiritual awareness and well-being in his psychotherapy practice. He believes that efforts to empower the soul and energize the spirit are vital components of our quest for self-actualization. His philosophy of inner light counseling is briefly described below. Just as candles are lit on holy days to express our connection to spiritual aspirations, a flame also burns within ourselves to light the darkness within our soul with aspirations for a fuller and richer life. The "inner light" can be thought of as the flame of our soul burning to express itself in the most complete and fulfilling way possible. During the winter holidays, and on intimate nights when people are drawn together by the warm light of the fireplace, light gives us a very special kind of nurturing energy that lets us feel warm and connected to each other. Our "inner light" radiates from a sacred space within us that connects us to our inner wisdom and resources for feeling good about ourselves. It is a very special place within us where we feel safe and strong. It is a place where we find a vision, meaning and purpose for our life, as well as dedication and commitment to persevere toward self-aspirations. From this center, we can tap our life force, our creative potentials, and our capacity to overcome adversity. 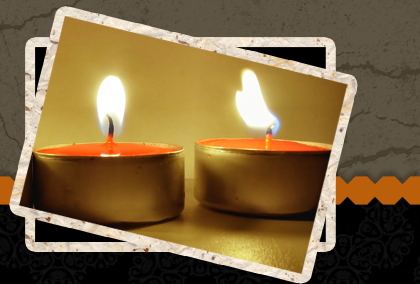 Lighting of candles can be a ritualistic way of expressing the wish for light to illuminate the darkness of the world. Similarly, the "inner light" can serve as a lighthouse beacon for wounded aspects of ourselves to become healed and for creating the outcome which is best for us. There is a way of being that embraces the path our inner light is shining on. Taking that path, or "living in the light," reflects attunement to our "inner light." From a spiritual perspective, this is both a very important and special way of being, as well as a connection to a higher being as well, to a power greater than ourselves, to the wisdom and energy that created the universe. Inner Light Counseling involves the learning of various mind/body exercises designed to support our progress down the path illuminated by our "inner light." These exercises, which are aimed at cultivating one-pointedness of mind, promoting calm self-confidence, and maintaining more positive emotional states, are also helpful in facilitating personal growth or self-transformation. Seven major sets of strategies are taught for accessing, strengthening, and directing your "inner light" to those parts of your body, mind, or spirit that most need its healing warmth and guidance. As you learn to access your "inner light," you will begin to discover how to move it or direct it in a manner that taps your inner strength and helps you to move more freely and completely in the direction of your choosing. "As you move the light, it moves you." Contact Dr. Ken Leight to learn about the seven sets of strategies he refers to as "Inner Light Moves." Inner Light Counseling entails learning how to move the light of your inner self to radiate a path toward greater psychospiritual well-being. This typically requires learning strategies which encourage and support self-aspirations, such as those for achieving greater joy, peace, kindness, love, wisdom, vision, and generosity. These "inner light moves" for accessing, strengthening, and directing your "inner light" are embedded by Dr. Leight within the context of a warm psychotherapeutic relationship. An evaluation must be completed prior to any of the training required to learn "inner light moves." This is necessary to ensure that any psychological factors likely to interfere with the process of learning and behavioral change are properly identified and addressed prior to the training program. Dr. Ken Leight, a licensed psychologist (NJ#2559), specializes in the treatment of anxiety, stress-related physical illness, depression, and relationship problems. He integrates emotional and spiritual dimensions of healing, meditation, energy work, and hypnosis into his psychotherapy practice.